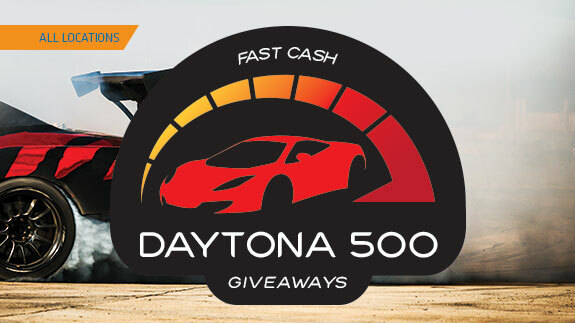 It’s a race to see who will win the prize money – one $500 cash winner midway through the race and another $500 cash winner after the final lap. Receive entry slips on February 17 for every 75 points earned. Plus, purchase a drink at Mustang Lounge and receive a ticket for door prizes, including NASCAR memorabilia. Enjoy free appetizers during the race, while supplies last.